Michele was born in Australia. Both her parents were professional cellists, and she initially learnt the cello with her mother before attending the specialist music high school at the NSW Conservatorium of Music in Sydney. After leaving school she moved on to bigger things, taking up the bass, and four years later was awarded a scholarship to go to the National Centre for Orchestral Studies, Goldsmith’s College, London. Upon graduation she moved to Scotland, where she lead the basses in the Scottish Ballet orchestra and freelanced with the BBCSO and the RSNO. She joined the Ulster Orchestra in 1985, and since then has had many years of experience with the orchestra’s education activities, as well as teaching the bass in schools such as St Malachy’s College and at the City of Belfast School of Music. 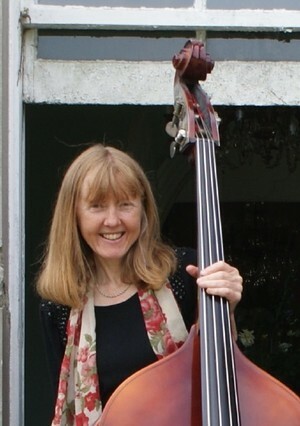 She teaches both primary age beginners and advanced level pupils, and several former pupils are now working as professional bass players. She is also bass tutor at the Belfast Youth Orchestra. Apart from her orchestral work she regularly plays to nursery and junior primary age children with the educational trio Big Bad Bass as well as performing in chamber concerts and bass recitals and for functions and dinners as part of the Rosemount Trio.